Crossbreeding with Red Polls will combine their economic features with hybrid vigour where the performance of the offspring is enhanced compared to the average performance of both parents. Crossbreeding with Red Polls will give a high percentage of polled calves in your herd, reducing the need for some management practices. 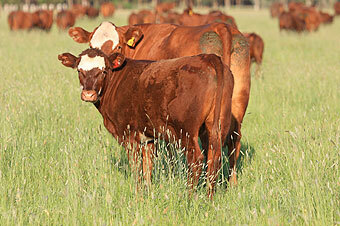 Red Polls can increase pigmentation. The dark red colour will add pigmentation to white faced animals. 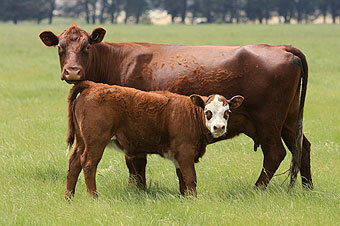 Early maturing Red Polls make a good cross with late maturing breeds, to produce calves that can be turned off earlier. Red Polls crossed with bos indicus breeds can increase milk and fertility, help tidy up sheaths, and improve temperament.